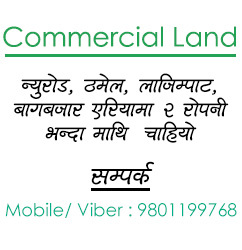 2BHK flat,Around New and Old baneshwor.all near the main road.We need to go Thapathali frequently and new baneshwor as well, so if possible we need flat around. 2.5 storeyed house at Dhungedhara,Banasthali,just 150 metres from ring road,towards north of ring road. Land 2 anna 3 paisa. 2.5 talle ghar.8 feet motorable road at front face, Purba mohoda. Soon going to be 27 feet road at back face, Paschim side. Paschim ma 3 ota gadi parking ko lagi jagga khali cha. Purba ra Paschim mohoda vayeko. Daxin ma ni jagga khali vakole gham bihana dekhi beluka sama chekdaina.Kausi ma trust ra jasta halera banako cha.Water facilitated.Just 40 seconds walking distance from Dhungedhara,Ring road bus stand.Adequate parking space for bikes.Well ventilated with enough day light n sunlight.Peaceful ,greenery environment,yet very near from main road (1 min walking distance) accessible to any local transport facilities.Ground floor ko rent mahina ko 13000 aucha. i am looking for the office space inside Bagbazar or Putalisadak. Please let me know if available.